(LOS ANGELES, November 14, 2016) - Modern Living with kathy ireland® announces an exclusive story featuring Lifeline Skin Care, a company that fuses scientific technology with highly advanced ingredients to encourage more resilient, youthful skin. 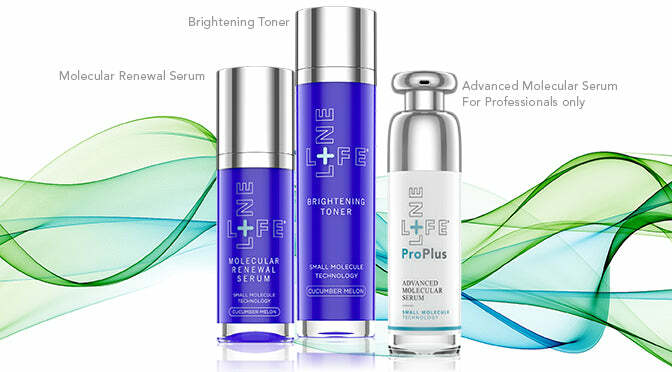 Lifeline Skin Care produces skincare products that encourage more youthful, resilient, and younger looking skin. Their products can result in increased cell turnover and collagen reproduction providing the next generation answer to aging skin. Lifeline Skin Care appears on Modern Living with kathy ireland® to showcase two new products that utilize innovative technology. Lifeline Brightening Toner is a product that gently lifts dead skin cells and other debris to help prepare the skin for additional Lifeline Skin Care treatment products, like the new Molecular Renewal Serum. Also featured will be Lifeline ProPlus Advanced Molecular Serum, all these products use small molecule technology which has proven to deliver more benefits than using retinol. Dr. Monica Bonakdar of the Bonakdar Institute, “I love the results of this medical grade skincare so much that I often combine it for home use before and after in office treatments for complete skin rejuvenation.” Creating skin that looks positively younger, feels more soft and supple than ever before is now a reality with the advanced technology and specialized formulas from Lifeline Skin Care. Watch the show here to learn about Lifeline's new Small Molecule Technology from our experts. Or to watch on E! Entertainment as sponsored programming on November 17, 2016 at 6:30am EST you can see what channel the show airs in your timezone by clicking on the channel finder. Modern Living with kathy ireland® is a weekly business television program featuring real-world insights from corporate executives from all over the globe. Modern Living with kathy ireland® airs Thursday mornings throughout North America on E! Entertainment Network as part of their sponsored programming lineup and to over 50 countries throughout the world on Sundays on Bloomberg International as part of their sponsored programming lineup. Lifeline Skin Care develops, markets and sells advanced topical anti-aging skin care products based on parthenogenetic (non-embryonic) human stem cell technology developed by International Stem Cell Corporation. Lifeline products are distributed in the USA and internationally through a network of distributors, physicians and spas. International Stem Cell Corporation is focused on the therapeutic applications of human parthenogenetic stem cells (hpSCs) and the development and commercialization of cell-based research and cosmetic products. ISCO's core technology, parthenogenesis, results in the creation of pluripotent human stem cells from unfertilized oocytes (eggs). hpSCs avoid ethical issues associated with the use or destruction of viable human embryos. ISCO scientists have created the first parthenogenetic, homozygous stem cell line that can be a source of therapeutic cells for hundreds of millions of individuals of differing genders, ages and racial background with minimal immune rejection after transplantation. hpSCs offer the potential to create the first true stem cell bank, UniStemCelltm. ISCO also produces and markets specialized cells and growth media for therapeutic research worldwide through its subsidiary Lifeline Cell Technology, and stem cell-based skin care products through its subsidiary Lifeline Skin Care. To subscribe to receive ongoing corporate communications from ISCO, please visit this page. Statements pertaining to anticipated developments, expected clinical studies (including timing and results), progress of research and development, and other opportunities for the company and its subsidiaries, along with other statements about the future expectations, beliefs, goals, plans, or prospects expressed by management constitute forward-looking statements. Any statements that are not historical fact (including, but not limited to statements that contain words such as "will," "believes," "plans," "anticipates," "expects," "estimates,") should also be considered to be forward-looking statements. Forward-looking statements involve risks and uncertainties, including, without limitation, risks inherent in the development and/or commercialization of potential products, regulatory approvals, need and ability to obtain future capital, application of capital resources among competing uses, and maintenance of intellectual property rights. Actual results may differ materially from the results anticipated in these forward-looking statements and as such should be evaluated together with the many uncertainties that affect the company's business, particularly those mentioned in the cautionary statements found in the company's Securities and Exchange Commission filings. The company disclaims any intent or obligation to update forward-looking statements.